and cook exactly how you want to. Each style is available in 50cm or 60cm wide to suit the space you have available. Create your perfect cooker by including extra cooking cavities or storage drawers. Ceramic cookers offer electric-only cooking with an easy clean advantage. Ceramic hobs heat up quickly, allowing you to cook with speed and ease. 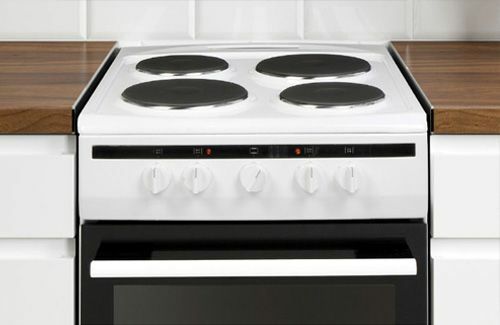 We offer different ceramic cooker widths to suit your kitchen space, so you can find the right fit. 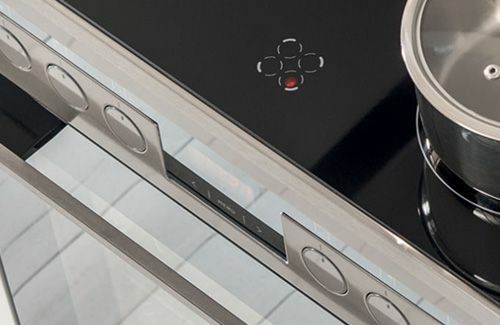 The front control panel is easy to use when controlling the hob zones and the electric oven below. We have finishes in crisp white and professional steel to suit your style. You can even have an extra oven with our double cavity models and prepare several meals at once. An electric freestanding cooker is an all in one cooking solution. Practical and dependable solid hob plates on the top are ideal for cooking quick meals. The large electric oven cavity below covers all your daily cooking needs. Choose from two colours and one or two cooking cavities to find the perfect model for your home. Looking to cook with gas? Gas cookers are responsive and economical. It is no wonder that professional cooks often choose gas cookers for their own kitchens. 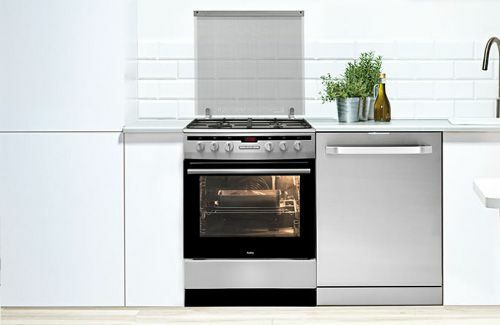 There’s a size to suit every kitchen, from slimline to double cooking cavity options. We’ve made cleaning your gas cooker easy too. The enamel finish on the interior is simple to clean. Pan supports can also be cleaned in the dishwasher with little fuss.